Modern Background - Paper ~~ Green Fairy Quilts Giveaway! Let's have a little back to school giveaway! I feel like September is always a great time for planning and deciding what projects to work on for the upcoming months. I was one of those kids at school that loved having timetables and using highlighters, I covered all my exercise books and stationery is still one of my favourite things. 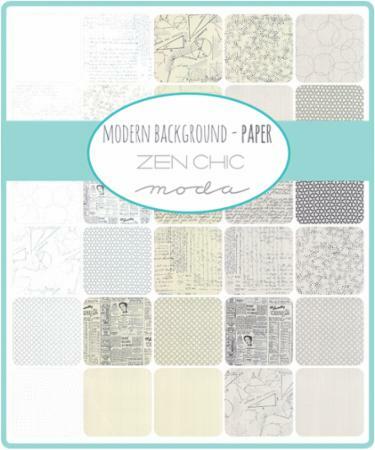 The newly released Modern Background - Paper by Zen Chic for Moda is perfect for paper lovers and the low volume prints are gorgeous. All of the prints are versatile backgrounds and blenders. It's not often I see a range where I know I can easily separate prints to use in different projects. I think Zen Chic have done a fabulous job building a usable and beautiful collection. 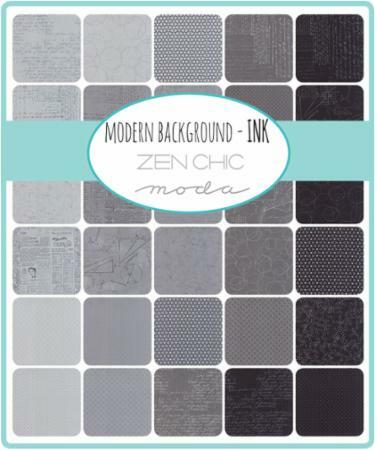 And as if these aren't gorgeous enough, Zen Chic will also be releasing Modern Background - Ink in September and you can pre-order bundles and precuts from Green Fairy Quilts at great prices! Green Fairy Quilts are very kindly offering you the chance to win a layer cake of Modern Background - Paper! 1. Tell me your favourite thing about September, anything you like! The giveaway is open internationally and ends 3rd September 2015. A winner will chosen by random.org. Please please leave your email address in the comment e.g. mslaptop (at) ipreferpens (dot) com - unless you are totally sure you are not a no reply blogger!! 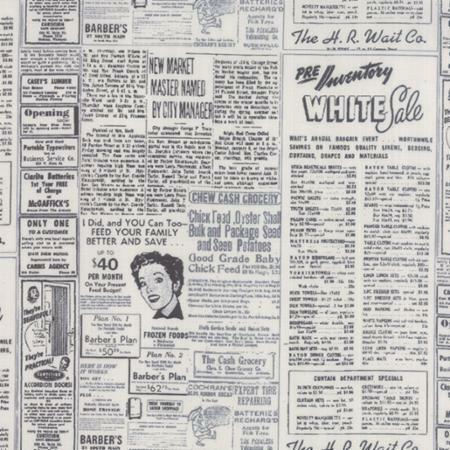 Lucy, I always gravitate to fabric with words. 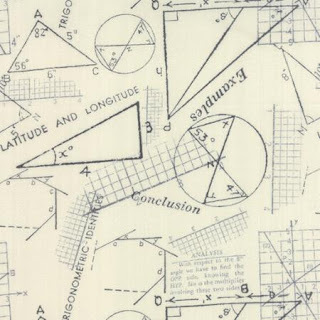 It makes the piecing so interesting for the sexist and the viewer! I subscribe to your blog and I should have proofread my comment above before I pushed the Publish button. I wanted to say 'sewer and viewer'. Labor day holiday and we tend to take a short vacation to the beach during September! I've subscribed to the newsletter. I am following you via feedly! I follow your blog! Thanks for the effort in sharing your quilting adventures! September is the beginning of the Fall which is my favorite season! I get Green Fairy's newsletter! I like when the weather gets a bit cooler in September. Also my second wedding anniversary will be on the 14th which is fun. Fall is my favorite season and September means the leaves start changing! 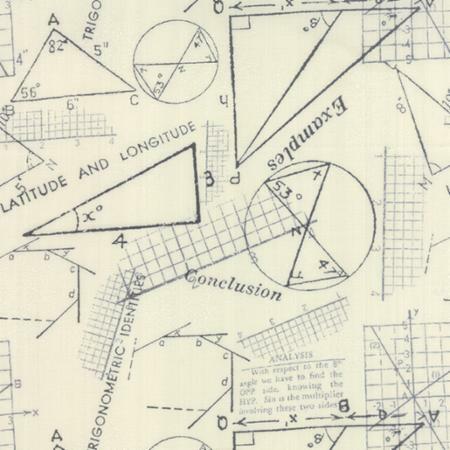 Ooh, love these fabrics! My fave thing about September is that it's my birthday month! I'm already signed up for the Green Fairy newsletter! September brings cooler nights and the first shades of fall leaves. After the long summer, both are welcome. I follow you by email. Thank you for the opportunity to win. I'm hoping the weather gets cooler when September comes and looking forward to a full Labor Day weekend fun. I'm already a Green Fairy subscriber. I am already a Green Fairy subscriber too. My birthday is September 1st. That is my favorite thing. In September I enjoy the colours of the wine-hill opposite our house (and the beginning of school for the kids lol). I have been receiving your newsletters for a few weeks now. My favorite thing about September is changing leaves! I'm subscribed to Green Fairy! 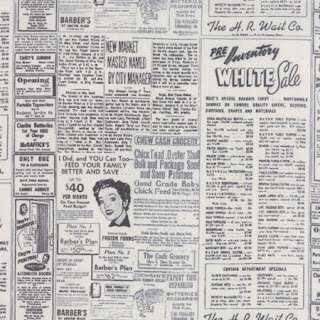 Love this fabric. I follow your blog! My favorite thing about September is that it's the perfect vacation month - still great weather but fewer crowds. I love the cooler temps of September, the crisp air and radiant sun through the leaves. And I already get the Green Fairy newsletter. And the best thing about September is school starting! I'm a teacher. I really love the new beginning. Thanks for a great giveaway. I love those prints. I love the fall colours as the leaves start to change, but I don't like that it means winter is coming! Thanks for the great giveaway! I follow you in my reader. Thanks for the chance. For me September is the beginning of fall and fall is my favorite time of year. Already on GF newsletter but did again to make sure. I like September because of the cooler nights and the start of Fall, but also the kids go back to school! I follow Green Fairy Quilts, love their shop. I follow you too, on bloglovin' and Instagram. Love this new Zen Chic fabric collection, definitely a must have! Thanks for the chance! My favorite thing about Sept. is that I don't have to spend so much time outside but have more time in my sewing room. I love the September cool weather and the start of school. I love September - fingers crossed we have an indian summer as I'm off on holiday!! I like September. As a retired Primary School teacher it is lovely to know you are not going back to work! Also it's our wedding anniversary in September and that is a lovely occasion to remember and celebrate. It has to be children going back to school - I don't have to ut up with the noise when I go to the shops. There seems to have been a lot more screaming this year. I wonder if it has been because of the unusually bag weather. I do receive charm about you newsletter. I subscribed to Green Fairy Quilts. I follow charmed about you via email. My favorite tzhing about September is all the family birthdays we have. :) celebrations abound. I love the cooler weather of September! I follow you via email? I love September weather. Just getting cool. Both my lovely children are my favorite thing about Sep. They were born on the 3rd and 4th. My Sweet Baby Girl will be 42 and my always Good Son will be 46. Man how time flies. I love the beautiful weather here in September. I love September cos it means summer's over and the trees are starting to change colour. I already receive Green Fairy's newsletter. I'm not in education and i don't have kids but september does feel like new beginnings. My favourite thing about it is the weather cools down... not so much this year though! I love college football! Fall colors don't arrive here until mid to late October, but I do love fall colors. I subscribe to Green Fairy. I love the feels of the air in September. I already receive Green Fairy news letter. I already receive Charm About You by e-mail . I quite like September when you get those stolen late summer days - although the days are drawing in and there is that heavy morning dew, there are sometimes golden warm days before the garden starts to draw back in and autumn is truly here. They're wonderful. I follow you via blogloving and IG. I love the leaves starting to turn colors and the weather getting a little cooler. I love fall, and September is the start of it. Best thing? Cooler temps! In Charleston, we need a cool-down so desperately by late August! My favorite thing about September is cooler nights, soup is back on the menu! Happy to follow you on Blog lovin' ! Love GFQ'S+ have subscribed to them for a long time! I love the colors of fall! I love to watch the leaves change color, decorating pumpkins and getting how the warm clothes. When I was little I used to love to rake the leaves. I love to watch the fallen leaves get blown down the street and or get picked up by the breeze and swirled around. I signed up for both emails, and will leave a post on instagram. Thanks both of you for contest. These are great styles and will be fun to add to other lines. Oops the above comment is from me, Tracey at magpienmom@aol.com. Oh a fabulous giveaway!! Thank you for the chance. I love September because in Australia it's the beginning of Spring! Football season! More sewing time! Yup I follow you everywhere too!! GFC and IG are my favourite ways!! I get their newsletter :) What a giveaway!!!! Happy Thursday to you! I like September because we can turn off the air and open up the house to fresh air. I have been following your blog with GFC for a long time. I like September because it gets cooler - I do not get on well with very high temperatures - I also like the beginning of Autumn and the smell after it rains. I love September for apple cider, cool air and the start of the colorful leaves in NY. September in Australia means Spring! At last the world is shaking off is cloak of gloomy grey and coming to life in blossom and daffodils! I also receive the Green Fairy newsletter! And I am a Google+ follower! I love the Starbucks has their pumpkin spice latte starting in Sept! yeah! thanks! I get the Green Fairy Newsletter! I happily follow on bloglovn! I love September because it's my birthday month, so every September is a joy and a bonus! I am subscribed to Green Fairy - I have purchased from them and they are wonderful - great prices, amazing service! I like September because I like Autumn. I like the change of menu in september, soups, stews and warming food. I follow your blog always! Sorry if this is a duplicate comment. I love this collection and I love September because it is the start do spring here in Australia. I always go on vacation in september. All 3 of my children were born in September so it is a fun month of birthdays and celebrations in our family. Favorite thing about September.... first snowfall! hahah...happens in Alberta! I also have Green Fairy as a newsletter! and I shared the giveaway on my Pinterest! Thanks for the chances to win! I have signed up for the Green fairy Newsletter. And I follow your blog via Bloglovin' ! I love the cooler temperatures in September! It is so nice to be able to have the windows open in the house. Also, it is my dad's birthday month, so we get to celebrate with him, too. So glad he is still around! 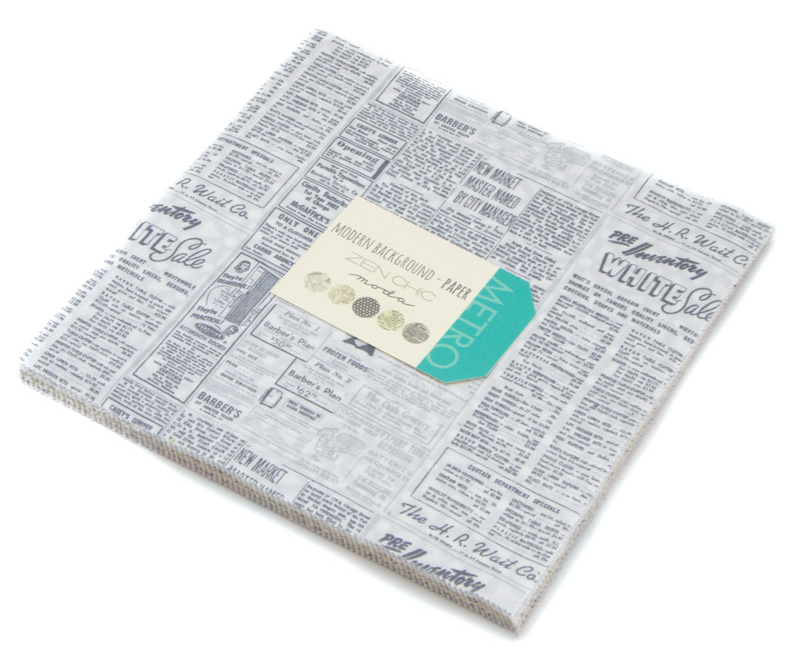 I already receive the Green Fairy Quilts newsletter. Love their shop! I follow your blog through Blog Lovin! I love September for the cooler weather (and more manageable hair), and the wonderful fall colors, especially the changing leaves here in Maine. I so enjoy following your blog! My favorite thing about September is my daughter's birthday and apple orchards! And I follow on Bloglovin! I do receive the Green Fairy Newsletter, love their free shipping! I love the cooler temperatures in September!